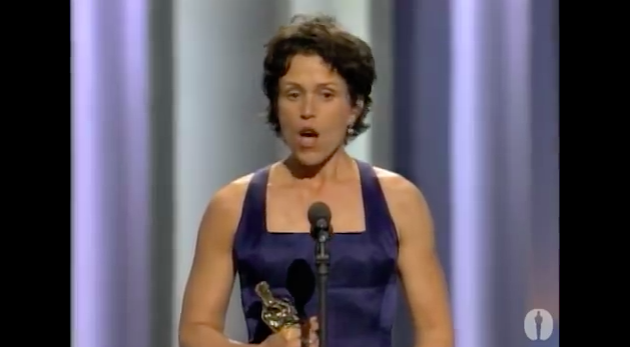 The next phase in my "Twenty Years of Oscar" retrospective, in which I travel back through the years since 1994, my first year with the Academy Awards, is Best Actress in a Leading Role. It's a category I've become quite familiar with in the six months. Back in August, I was asked by Andrew at A Fistful of Films to join a crew of movie bloggers on a quest to determine just who of the double Best Actress winners truly deserved, who had the best duo of roles. It was called "Twice a Best Actress," and I urge you to check it out if you haven't already. Anyway, only one of these ladies has won twice (Hilary Swank), and, man, did she deserve both. And all of these other ladies had one big win for performances that were, to me, the most truly outstanding "Oscar roles" of the past twenty years. I actually never saw "Monster" until a couple years after Charlize Theron won the big prize. It's a decent movie, really intense. It is truly a transformative role. I mean, she's stunningly beautiful, and she pulled off butch, scary killer woman with such seeming ease. It's an unbelievable role that was a sure-fire win from the get go, especially in a pretty week field of nominees that year. 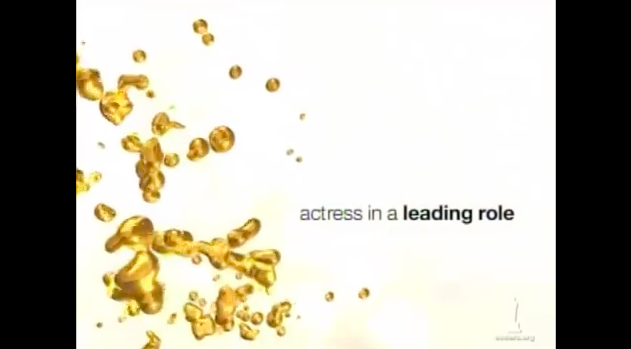 Where Theron seriously transformed herself to win her Oscar, Helen Hunt won on pure charm. As a single mother and Jack Nicholson's favorite waitress in James L. Brooks' "As Good as it Gets," she just made audiences fall in love with her. I certainly did, and I love this movie. She matched Nicholson's mania to absolute perfection and, honestly, stole the show at times with some of the best lines in the movie. Here, I will redirect you to my write-ups on both of these roles for "Twice a Best Actress," done late last year. Swank, an actress nobody ever expected to win two leading role Oscars, did so and did so with pure grit and power. I'm sorry, but I love Jennifer Lawrence. 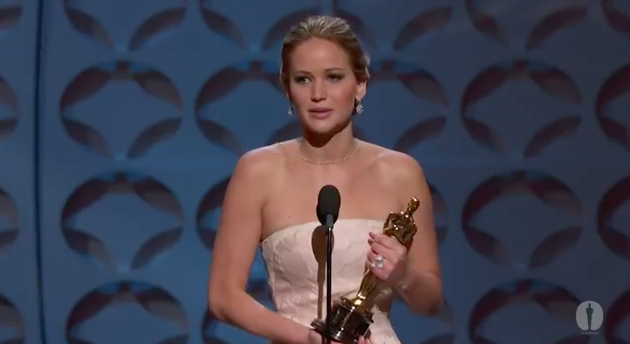 When she won the Oscar for Best Actress for "Silver Linings Playbook," my favorite movie of 2012, I felt like I won. Plus, she's just so real. I mean, she actually seemed truly shocked to win. She even tripped on her way up the stairs to the stage. I love her role in this movie, and, while many feel that "Silver Linings Playbook" was a weak portrayal of mental illness, I have to say this: I have lived with manic people my entire life, and this movie nails it. I have known these people my whole life, and I love this Oscar win. 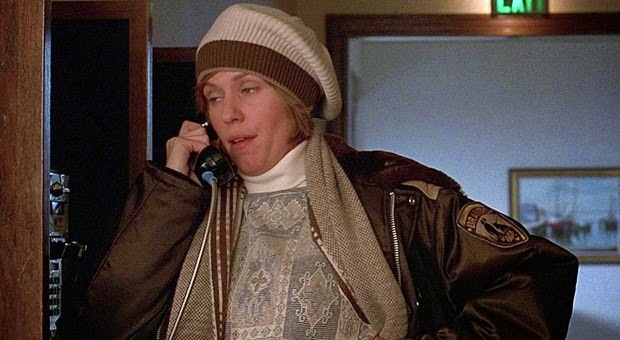 All actresses should be as lucky as Frances McDormand was when she got to star in Joel and Ethan Coen's true masterpiece, "Fargo." Well, she was married to Joel Coen, so I can't imagine it was much of an audition process. Chief Marge Gunderson is one of the great leading female roles not just in the last twenty years but of all-time. Marge is a pregnant, small-town Minnesota police chief in the midst of an unprecedented crime spree. The accent alone was worth an Oscar, but then she carried the entire emotional weight of the movie on her shoulders and totally sealed the deal. "You betcha!" It's a great one. Straight up crazy-good work. She really should do more than Dior ads. I love Swank's first win SO much, and I'm so glad to see someone else say something positive about Hunt's win. I love that performance, but it has such a bad wrap with many cinephiles. Swank in Boys Don't Cry is one of the great Oscar wins for sheer bravery alone. It's really a game-changer, and Swank's excellent acceptance speech speaks to that effect. I love Helen Hunt, James L. Brooks, and Jack Nicholson, so it is no problem for me to praise her work in that movie. So many cynical cinephiles out there not willing to have a good time with a lighter, yet totally powerful movie. Blanchett is a good one, for sure. Just a bit too new for me, I think. I've only seen the movie once. Same for Winslet in The Reader, although that was one helluva great role. She could've won several times before that really, if you ask me. I have never seen Monster or Boys Don't Cry, but both are movies I would like to see. These are great picks. I also like Julia Roberts win. 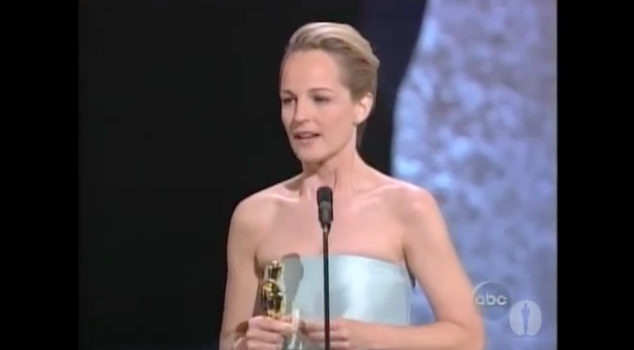 It might be that is one of my few Oscar memories pre-K or because I seriously thought she did a great job. To me, she made the movie, you saw Erin Brockovich's passion, how hard she had to work, and she made you feel sympathy for the people. Same is true with Cate Blanchett in Blue Jasmine. Loved that movie. We should do Boys Don't Cry and Monster but both will really take it out of you for a few hours. I don't like to think of your life "pre-K". Haha! Erin Brockovich has to happen very soon. I actually want to see every Soderbergh movie. 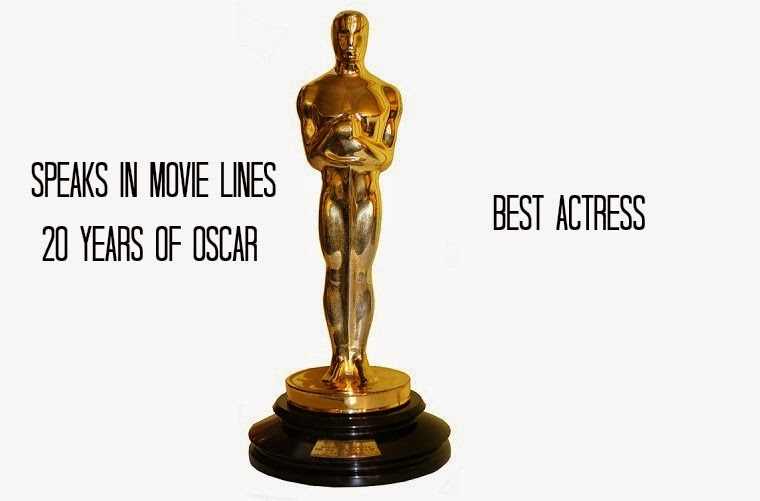 With honorable mentions to Theron, Hunt, Paltrow, Sarandon, and Portman. Great list. I've never seen La Vie en Rose or Erin Brockovich. I've heard nothing but great things about both. Just haven't got to them yet.